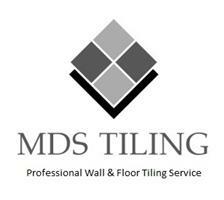 MDS Tiling - Tiler - Tiling based in Fareham, Hampshire. I'm a qualified professional wall and floor tiler with over 10 years’ experience in the tiling trade. I've now taken the knowledge that I've learnt over the years to become a self-employed tiler. I take pride in my work and believe if a job is worth doing its worth doing properly, I will always be clean and fully respect the customer's properties. There is no job to small from a single tile repair to full bathrooms’ makeover. I'm focused on providing the very best service with the highest level of customer satisfaction, I will do everything I can to meet your expectations. With a variety of offerings to choose from, I'm sure you’ll be happy working with me. Feel free to have a look around my website and if you have any comments or questions, please feel free to contact me. Thank you for reading my profile I hope to see you soon. The other areas I specialise in are: tiling repairs, grout repair & re-siliconing, this will freshen up your tiles and grout.